Following a question raise via Facebook, I responded as follows; if you’ve seen old B/W photos of ships painted in flash art schemes and the ship puzzles you, well that was exactly what was intended. 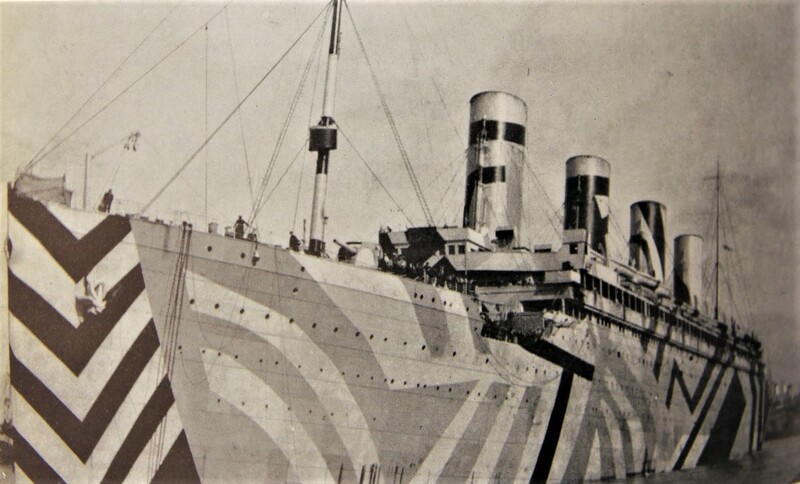 You may be interested to know, the ‘Dazzle’ camouflage which was applied in colours, so even more confusing, was developed and designed by the marine artist Norman Wilkinson. He is the same artist who painted the “Plymouth Harbour” sited in pride of place over the fireplace in the First Class Smoking Room of the ‘Titanic’. I’ve been commissioned to reproduce #Wilkinson’s “Plymouth Harbour” “as accurately as possible, down to the last wave top and seagull”. 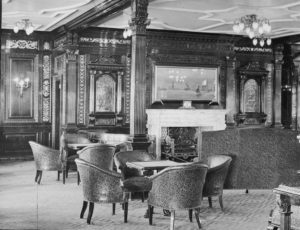 You may like to see my web page ‘Titanic, Plymouth‘ http://www.frickers.co.uk/…/mar…/ports/titanic-plymouth/, follow my blog or Facebook page to discover more on this. Back to the main plot, Wilkinson, a RNR officer during both world wars, realise, while it’s impossible to hide a ship at sea, one could confuse an observer. Particularly one who has only a few seconds to view a moving ship through a periscope. Wilkinson eventually lead a team of over 40 personnel. 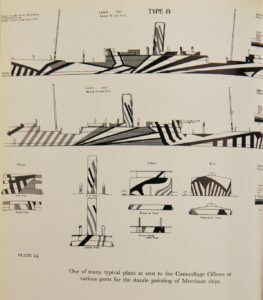 A model was made of each ship to be camouflaged with her own individual scheme. 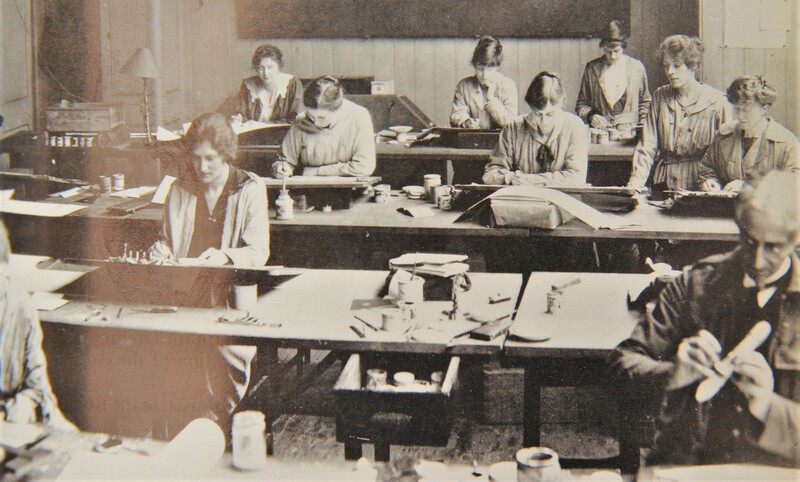 The camouflage was applied to the model then tested on specially designed apparatus in the design studio, before approval. 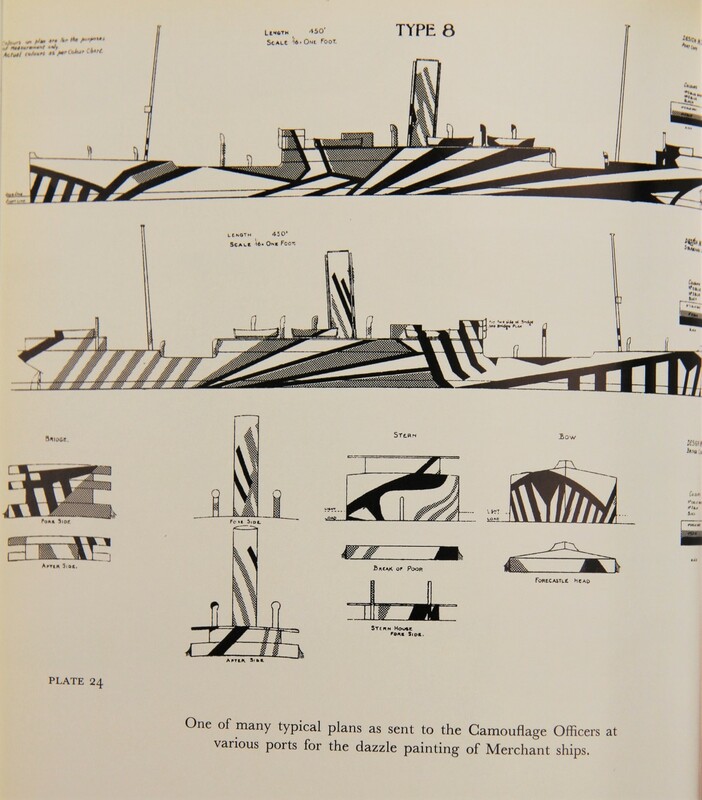 The idea was to confuse submarines, to make it difficult to judge distance, speed and course of the camouflaged ship. It worked in the studio. Opinion among merchant sea men varied with two thirds feeling safer with the applied scheme. 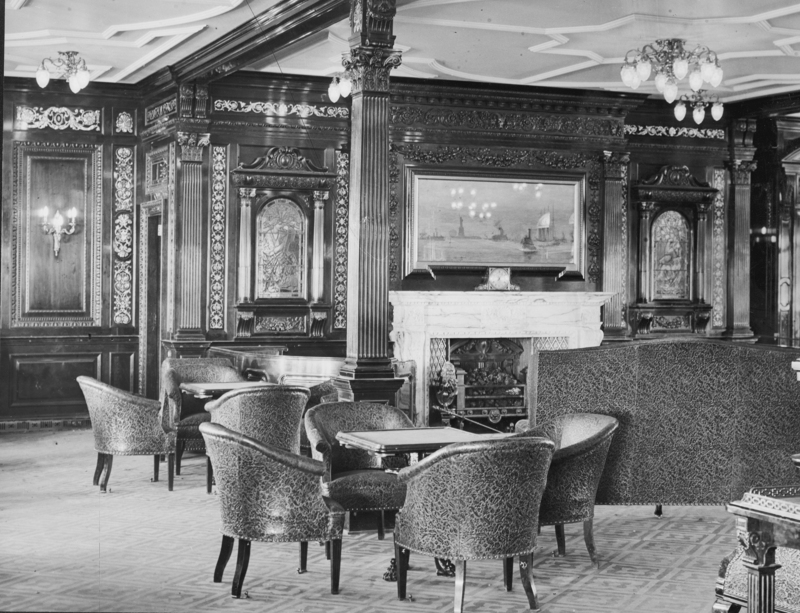 The British by request, shared the expertise with their allies, the French, Italians and Americans. This entry was posted on Sunday, February 3rd, 2019 at 1:14 am	and is filed under diary, Marine Art. You can follow any responses to this entry through the RSS 2.0 feed. Both comments and pings are currently closed.